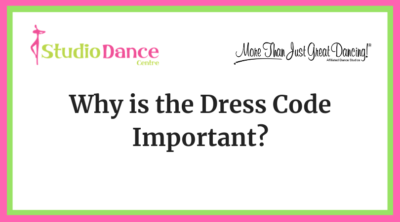 The number one factor in establishing a dress code is for all students’ safety in class. A basic leotard and tights, along with hair pulled back and the appropriate shoes, ensures that there are no extraneous clothes or jewelry that can cause safety problems, such as an earring caught on someone’s sleeve. The dress code also helps teachers see that students are using the right muscles and alignment. At SDC, we want every student to feel great about trying his or her best in class. Following the dress code helps us make sure that everyone is appropriately covered … but not so covered that their movement is restricted! We know that kids can sometimes feel self-conscious, and we want to encourage their confidence by helping them feel comfortable in their dance clothes. Because leotards and tights also often serve as a versatile base layer for costuming, it makes sense that students become accustomed to them during class time. Just as swimmers wear swimsuits and basketball players wear jerseys, dancers wear leotards and tights to have the freedom of movement required to practice correctly and efficiently. It’s our version of a uniform! At SDC, we take a lot of pride in our dress code and are happy to help you with questions at any time. « FREE gift box with new registration!